Oi! Hope everyone is good, yeah? I want to bring the spotlight back to the Tumble Audio imprint today, as Monday saw the release of their 4th installment. Killjoy (aka Core aka Ashburner) makes his return to the buttons with three original tracks, accompanied by remixes from Caski and Notion. 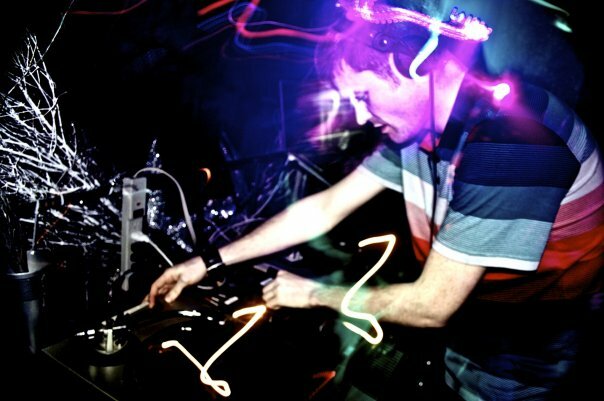 Killjoy put Tumble Audio on the map after writing the label’s debut release back in October of ’12 with his ‘XTC’ EP, namely (in my opinion) the track ‘Tiki’. Killjoy brings an eclectic trio of music for 004, each tune embracing its own persona within the UK Funky format. The 4×4 kick and pumping bassline in the title track offer up a instant party starter, while the groovy drum breaks and crafty vocal sampling of ‘Inaudible Badness’ bring things right back to the dancehall. ‘Tangle Riddim’ is a breed of its own, sounding like some sort of brainchild of Coki’s ‘Goblin’ after a night of ketamine and Atari – a tool certain to set the energy off! Ghost Records signee Caski puts a 140 spin on ‘Memories’, with a halfstep skeleton that leaves plenty of room for sub-bass flex and vocal intricacies. Notion has outdone himself with his take on ‘Memories’, crafting an absolute slumper of a tune. Infusing grime and funky to provide a track that will convulse your body through a state of boogie like no other! It’s no surprise that such talent comes from Bristol. Check the release below, and make sure to keep yourself locked into the Tumble Audio and Killjoy pages for future release/parties/etc. I’ll catch you next time, heads! Begrim here, finally found some time to enter another post on the ever-so-massive Bassweight Society. 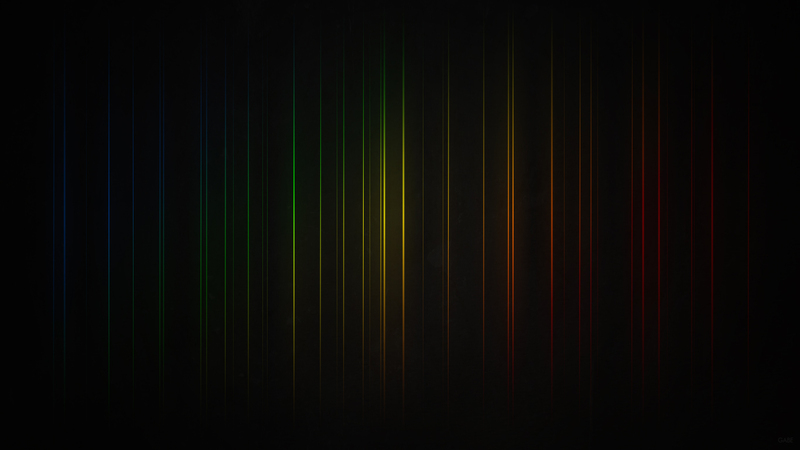 In this installment, we’ll be looking at the (audio) visual spectrum of music and it’s varied facets. If you are anything like me, you most likely have a wide range of music genres in your library that you constantly shuffle through. Spanning from the recent to the old, electronic and non-electronic, this music accumulation stands as our personal ‘continuum’ so-to-say, a spectrum we use depending on our moods, feelings and listening needs. Especially with the growth of electronic music, there can be a tendncy to ascribe a single, over-specific label to track style’s (post-dub-trap-deep…), much like what happens with the naming of colors (Robin’s Egg Sea Razzle). This often leads to convoluted branding that can inadvertently cause bias in listeners and pigeonhole producers to a specific style. However, much like a graph of the visual spectrum, music is all connected by a single factor with varying amounts of energy, rhythms, and other ingredients combined. With bass as the connecting factor of our “audiovisual” spectrum, we’ll be exploring three labels that all share this common center yet present their music in varying forms. Beginning with some higher-energy “red/yellow” grime from Earth616, we’ll move into Slime Recordings’ mellower “blue/green” dubstep/garage/deep house, and end on something…Diffrnt… in the “purple/pink” wavelengths. Hope you enjoy the rainbow. 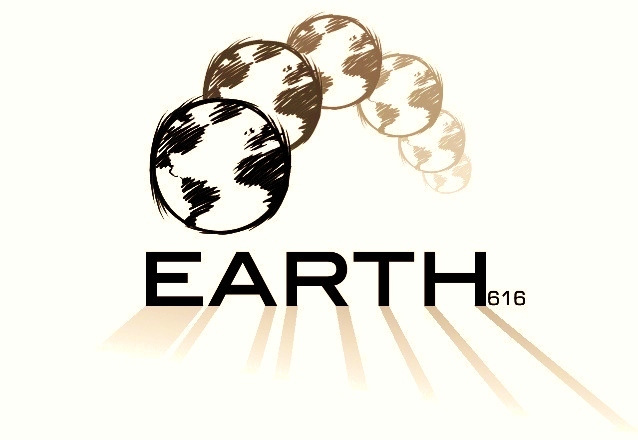 Starting off is Earth616, a grime label run by the notable Logan Sama. With no “official” webpage, Soundcloud, or Facebook, the mysterious monicker puts out primarily vinyl presses with a few digital releases scattered here and there. Featuring released by grim legends such as Maniac, DJ Q, Faze, Miyake and Wiley, Earth616 brings some of the best grime instrumentals there are to offer. Already receiving it’s own separate digital release in December, Earth616 recently distributed wax-pressings of this beaut. Preditah abosultely kills it on this EP, showing the range of sound grime still has to offer. Starting off with classic synth-heavy tracks ‘Circles VIP’, ‘Nosy Parker VIP’, Preditah then rolls out his take on trap, ‘Evil Twin’. 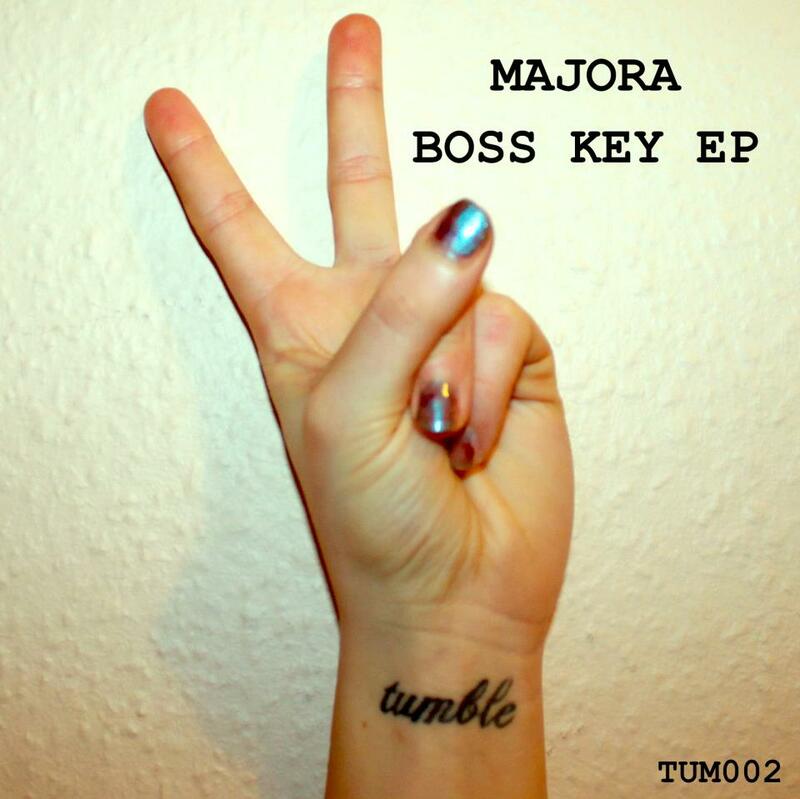 He follows with two super bass-heavy hitters, ‘Gully (instrumental)’ and ‘Rubicon’. This cycle repeats itself with ‘Skank (Dub)’ and ‘Sword’, and Preditah finishes up with what he calls a “dark garage” track, ‘The Beat Skipped’. Fusing classic slapping drumwork with deep, pulsating lows, Preditah expands upon the conventional grime sound and presents a multi-genre approach to a music style he knows and loves. Definitely keep an eye out for his future releases, as well as the other artists on Earth616. Moving into the mid-spectrum sounds, Slime Recordings puts out a wide array of different styles of 12X-14Xbpm music. Working on getting their 56th release under their belt, Slime has featured EP’s by artists such as Submerse, Resketch, Mr Beeb, Eyelove and a forthcoming by Aleks Zen. After their debut on Slime Recordings, “Songs from the Sea EP”, BSN Posse recently released “Love History EP” which features their original track and six remixes. Soothing vocals glide over melodic synths, giving this song a relaxing feel that still has driving energy. Each remix adds a new element to Love History, morphing it into a shuffling garage track, a low-end bass banger, a jumpy trap rhythm, and a classic deep house anthem. While any of these songs could be featured in their own single, Slime’s release of this EP helps illuminate the range of possibilities this one song has to offer. More importantly, it demonstrates that a “bass centered core” will hold prevalent no matter what direction a producers decides to take. Take a moment out of your day to have some Slime time. Slime’s 2012 compilation album does not disappoint, covering so many areas of music it’s unreal. 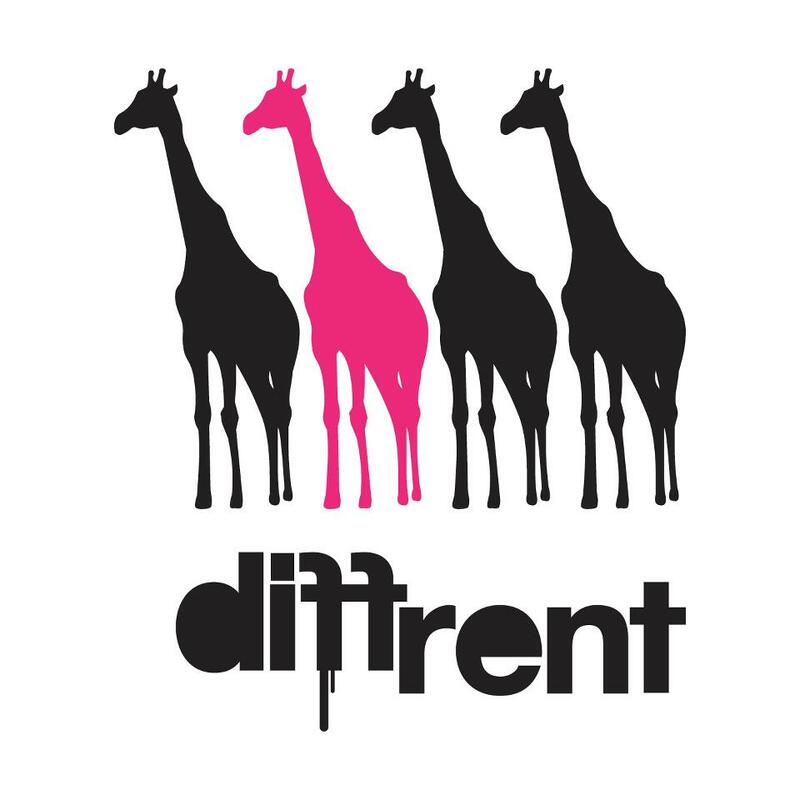 Recognized by their pink Giraffe logo, Diffrent Music describes themselves as “focusing on pushing the whole movement of stripped back head-nodding drum tracks and big deep monstrous bass.” Label co-founders Hunchbak and Dexta stated that, “We believe that there’s a lot of soul-less D&B music out there due to labels having to put out music that ‘HAS’ to sell. Ultimately we’re about making music fun, trying new things & putting out music that we truly love!” This point of view comes across clearly in their releases, which range from amazing low-roller drum & bass tracks to genre-bridging 170-ish tracks they categorize as “giraffestep”. With productions by artists such as Fredric Robinson, Arkaik and Dan Marashall as well as future releases by Fearful, Fable & Beezy, and Shaded, Diffrent is definitely a label to keep an eye on in this coming year. Comprised of two DJ’s, Billion and Fybe, and two MC’s, Sense and Codebreaker, Fathom Audio’s single shows both the darker and lighter sides of Diffrent. “Promises” starts out with fluttering trebles and stripped-back percussion, but quickly adds a resonant, forceful bassline that drives the rest of this lurking track. Contrastingly, “Ridges” starts out with a pulling, ethereal synth and muffled female vocals and quickly transitions into a full-fledged inspiration, featuring melodic harp sweeps and percussion reminiscent of early Rockwell. Both songs are prime example of the possibilities that exist in the 170bpm realm and will have you moving along, whether it be nodding to the broody lows or swaying to the ethereal highs. Something Diffrent, for sure. Featured on Diffrent’s monthly Giraffecast, this upcoming release from Cursa & Futurist is absolutely mind-blowing. Deep, resounding bass kicks and eerie clicks haunt this track, giving it a driving yet freeform sound. Upon completion of the B-side, this release from Diffrent will be shaking subs around the world. Well, thanks again for letting me show you the spectrum of sound out there. Stay bass centered my friends. Hope everyone had an ill Halloween. Definitely bummed I missed TRUTH out in Santa Barbara but I’m stoked to see a bunch of good shows coming up (especially the Chestplate U.S. Tour!). In an effort to bring back one of my favorite sections of the BWS, I’m here to present the latest installment of Mix Mondays. The idea of this edition is to dive into the UKG realm and explore what it has to offer. We’re going to plunge into the deeper spectrum of sound, discover some earlier predecessors, and survey various species similar to UKG. 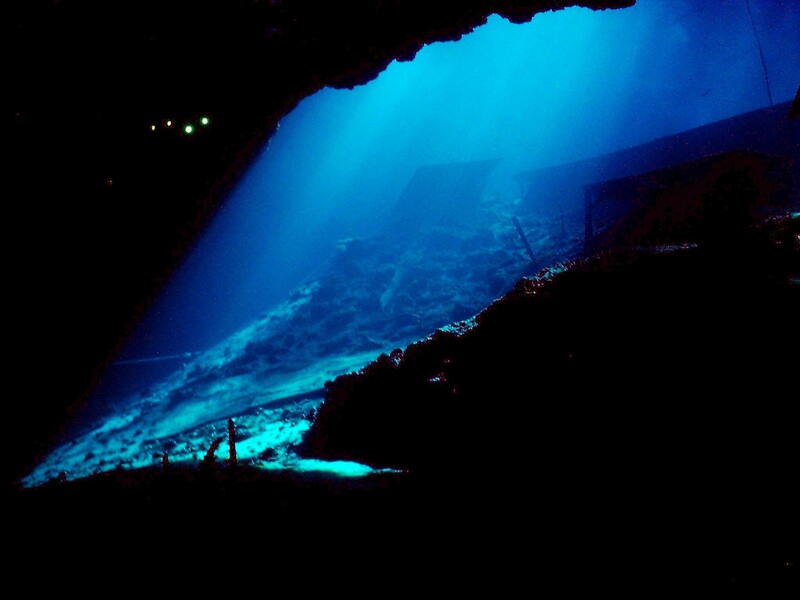 So sit back, relax, and prepare to embark on this special Deep Sea Exploration edition of Mix Mondays. Hexidecibal, commonly known as HxdB, is a Canadian bass/garage producer who has been tearing up the scene for the last few years. His mix for BunZer0’s FOB show does not disappoint, showcasing his deeper and darker take on UKG while including upbeat tracks from other established artists such as GoldFFinch, Paleman and Tanka. HxdB bridges well-loved catchy garage with newer low-rolling reverberations, creating a new standard for UKG artists to aspire to. 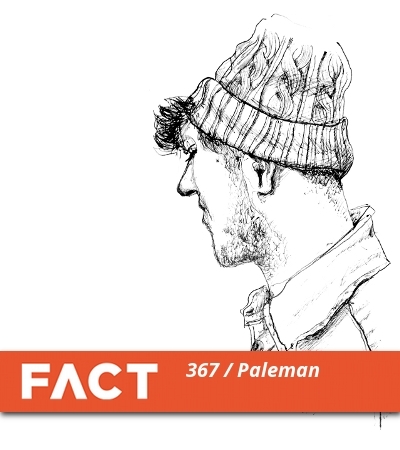 Two more mixes (which I found just prior to writing this entry), coming from My Nu Leng and Paleman on In:Motion. While these mixes stray a little farther from traditional UKG, both provide heavy, reverberating tracks that will resonate within you and deliver a different outlet for those bass heavy desires. In:Motion offers a wide variety of quality sounds, and their UKG/Bass choices hold true to their standard. As artists, My Nu Leng and Paleman have delivered countless heavy-hitting tracks, which are reflected in their first-rate track selection. 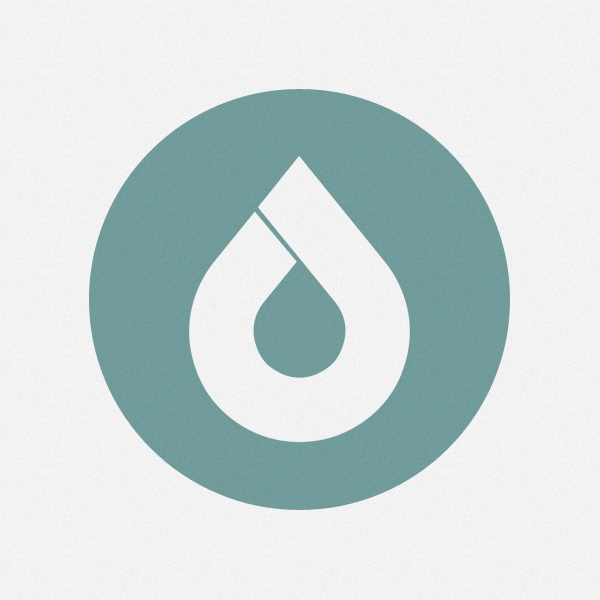 Check it, download it, and support these guys’ expansion of bass-influenced music. Coming from Concrete Music, Abis of Retrospekt Records delivers a classic 90’s-sounding UKG mix sprinkled with elements of modern garage. Shuffling drums, funky vocals, and catchy bass lines drive this upbeat mix and will have even the most resistant person nodding along. Abis pulls some amazing tracks from the past and shows how the origins of garage are still very influential. Talk about kids getting better and better at everything. Only 15 years old, Leed’s producer Happa landed a spot on Mix Mag’s Mix of the Week after recently joining label/event crew Church Music. Comprised of mostly forthcoming and unreleased tracks, this mix weaves together a complex blend of UKG, 2step, Deep House, and other 120-130bpm styles, all of which share a resonant, sub-heavy drive. Happa’s wall-shaking mix displays what the bass-centered sound can bring to a variety of genres/subgenres/etc. and offers an alternative to the ever-growing amount of generically produced music seen today. Keep an eye on Happa and the rest of the Church Music crew, big things coming out of that group. Well, that’s all. Hope you enjoyed this small voyage through the vast sea of music. Safe travels, and keep it heavy.